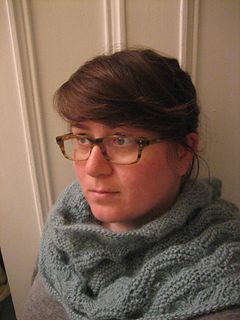 eB0002 SweaterBabe's 5 Best Cowls to Knit Now! Curving, scalloped columns interspersed with garter stitch make for a very interesting and unique pattern stitch. 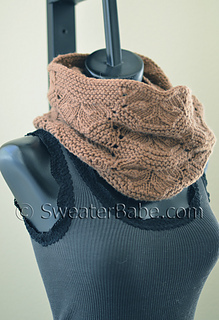 Perfect for elevating a simple infinity scarf shape to new levels of sophistication! 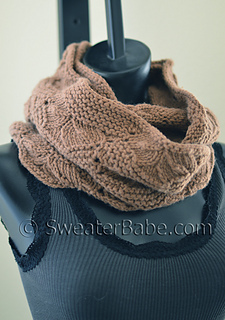 This infinity scarf is a simple big loop, knit in the round on long circular needles. 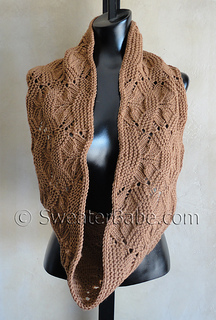 The stitch pattern is fabulous, so be sure to choose a yarn with great stitch definition, like the Del Cerro 100% merino wool shown here from Aslan Trends yarns. 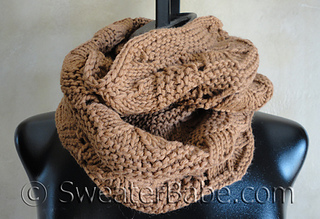 The cocoa color is rich and a natural complement to any outfit. 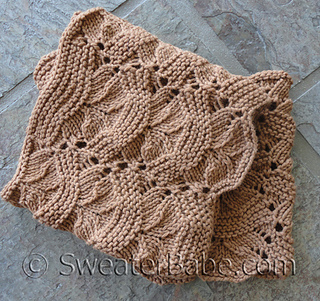 This infinity scarf makes a wonderful gift. 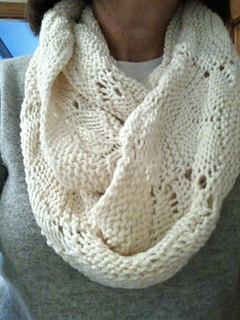 It can be worn long and loose, or wrapped twice around the neck, for a perfectly scrunched look.